We are amid the most noteworthy names engaged in offering to our clienteles an extensive collection of Aluminum Troughed Roofing Sheets. 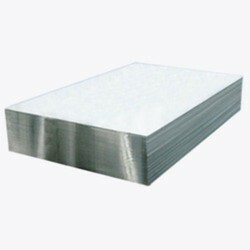 Having years of experience and rich expertise knowledge, we are instrumental in presenting Aluminium Troughed Sheets. These sheets are available in different lengths, widths, sizes and dimensions etc as per the client’s requirements. Our Aluminium Troughed Sheets are widely acknowledged for various industrial uses such as warehouses, tea gardens and factory sheds. We are offering Troughed Sheets to our clients.